Two Central Pennsylvania 410 Sprint Car drivers are lucky to be alive after a savage collision during Friday night hot laps at Williams Grove Speedway. Seriously injured was Jimmy Seger, who was practicing at full throttle, charging into the third turn, when he ran into a flipping car. Shaken but uninjured physically was Ryan Slothower, 38, who through no fault of his own, triggered the crash. Slothower decribed the accident that followed. “When the wheel came off I was pretty much a passenger. The car veered to the left, clipped the inside fence and went over. The other driver involved in the accident, Jimmy Seger, 26, was airlifted to Hershey Medical Center after the accident. 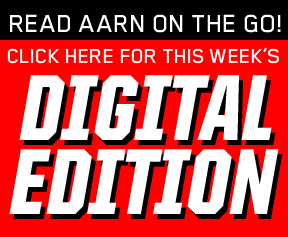 On Monday, Seger’s father, widely known s ‘Jimmer’, 49, spoke with AARN about the accident and his son’s condition. “He’s doing better, much better,” Seger said, with an unmistakable lilt of relief in his voice. “We expect him to be out of the hospital (in Hershey, Pa.) by Wednesday. “He woke up in the hospital and asked what happened. “The first thing Jimmy wanted to know was how the other guy was. He was also concerned about the delay he said he must have caused. ‘I don’t want to be a nuisance, he told me. “I saw the other car flipping and Jimmy going into the turn and I honestly thought when he came out that he had missed him,” Jimmer Seger recalled. 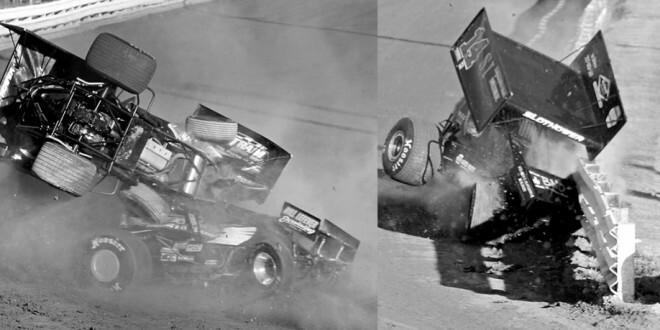 “But when I realized the other car changed direction, I knew Jimmy must have clipped him.” The injuries Seger suffered – a broken eye socket, a facial laceration from his eye to his hairline and a bruised brain – were caused by the contact of his car with Slothower’s upside down, midair car. It was essentially roll cage to roll cage impact. When the cars collided, Seger theorizes that a part from Slothower’s car ‘grabbed’ Seger’s helmet. The facial injuries were then caused by the unknown part striking the helmet and twisting it on Seger’s head with sufficient force to break facial bones, lacerate and concuss. 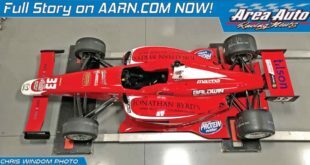 The pentration of the car occurred because Slothower’s upside down car came down directly atop Seger’s car, landing on the cage ‘halo’, missing the front wing and aircleaner. Seger feels that the errant part could have been just about any- thing, given the fact that Slothower’s car had shed parts and pieces while flipping before his son’s car made contact. Seger credits the design of the GF1 chassis – specifically its strength and its specific dimensions – as contributing factors in Jimmy’s escape from more serious injuries. “I’ve asked myself what I could have done any differently and have no answers,” Jimmer Seger admitted. Slothower desired to set the record straight about his state of mind in the immediate aftermath of the crash. Slothower, unfortunately, has a base line against which to weigh the seriousness of racing crashes. 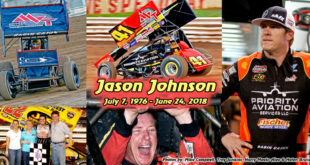 He was returning to racing this year, on this night, after breaking multiple vertebra in his back after a 410 Sprint Car crash at Lincoln Speedway. In Slothower’s Lincoln accident, he did not have the most advanced containment seat but was wearing a HANS device. In the Williams Grove crash, his car was equipped with a full containment seat. He wore a neck collar but had opted out of the HANS, believing as many Sprint Car drivers do that the device is not engineered to mitigate the kinds of impacts flip- ping drivers endure and may actually enhance injury potential. Though Slothower is mindful of the dichotomy, he dismisses any comparative cause-and- effect. Every crash is different, Slothower summaries. In the aftermath of this wreck, Slothower was moved to assess what is important to him. “This cat’s lives are done.” Slothower said. “I have a seven year old girl and I don’t want to get killed and have her grow up without her father. 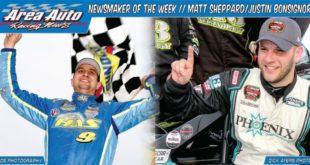 “My wife and I talked about it all the way home from the track Friday. She’s not too happy. Slothower had returned late last year and had a start in Williams Grove’s season ending Octoberfest race. A self-employed HVAC technician for twenty years, Slothower missed four months of work when he was convalescing from the Lincoln crash. 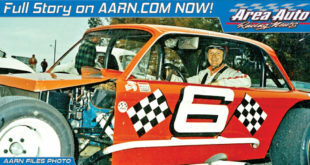 Jimmer Seger was quick to credit all elements of race car design and track safety with contributing to his son’s well being. In particular, Seger said his son’s car’s roll cage “did its job”. Some pitside observers suggested that Seger’s injuries might have been less serious had his car been equipped with a rock guard. Rock guards are considered to be a driver’s personal preference and are not required equipment by any major Sprint Car sanctioning entity. The nature of this crash would seem to cast doubt as to what kind of added protection might have been by the device. Jimmy Seger, 26, works in his family’s industrial radiator and general automotive business in the Clearfield County town of Morrisdale, Pa. His team is a family-based, respected racing operation. Jimmer said his son has no memory of the accident or any of the events following it until he woke up in the hospital over the past weekend. “When he woke up, the first thing he asked for was believe it or not, a bag of Middleswarth’s barbeque potato chips. Russ Mitten stopped in and brought him a bag. “I don’t know why he wanted that exactly. He might have seen Chad Layton’s car right before the crash,” Seger said. Jimmy Seger was making his first Williams Grove start of the 2014 season. 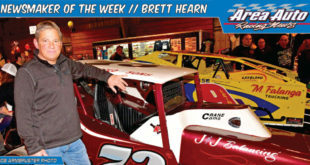 He had raced several times earlier this season at Mercer Speedway in Western Pennsylvania. Seger is no rookie, however. 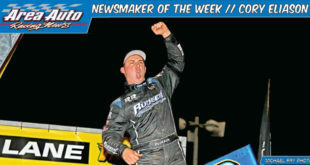 In 2003, he was named Port Royal Speedway’s 410 Sprint Car Rookie of The Year. 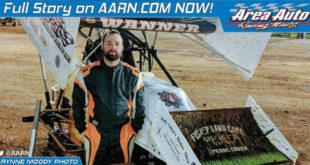 “The reason we came down to Williams Grove Friday is that we have been having some for- ward bite problems with the car and were going to talk to a couple of people about it in the pits,” Jimmer Seger said. While the uninjured Slothower’s racing career appears to be over, Jimmy Seger’s future racing plans are in his own hands.